We thought this day would never come. 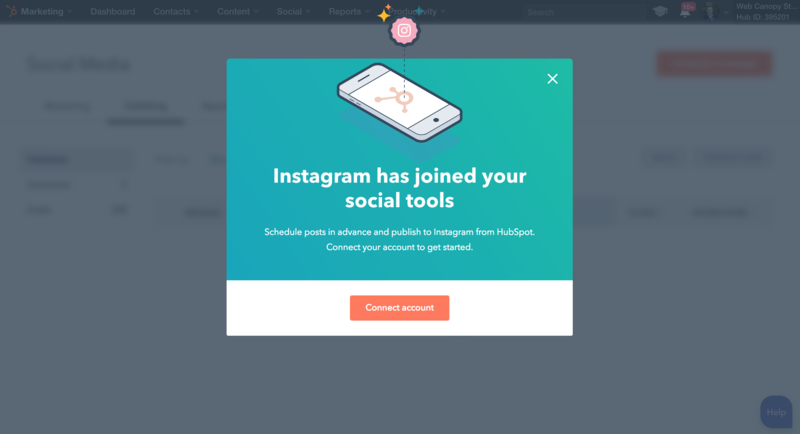 We will gladly welcome Instagram to the HubSpot platform! All of us at Web Canopy Studio are just... so... freakin... stoked! HubSpot announced on February 20th to their Facebook Audience that the beta for native Instagram publishing would be live in all partner portals, as well as those Beta Testing. As a marketing professional in 2018, it's critical to incorporate Instagram into your social strategy. There is a ton of research about using Instagram for promoting your brand and building an engaged audience. However, it has been difficult to schedule unless you're using another 3rd party app. For companies using HubSpot to manage their social on Twitter, Facebook and LinkedIn, it has been a major pain up to this point to try and coordinate Instagram into the strategy. If you are interested in getting into the Beta in order to have access, HubSpot has provided a link to get access here.